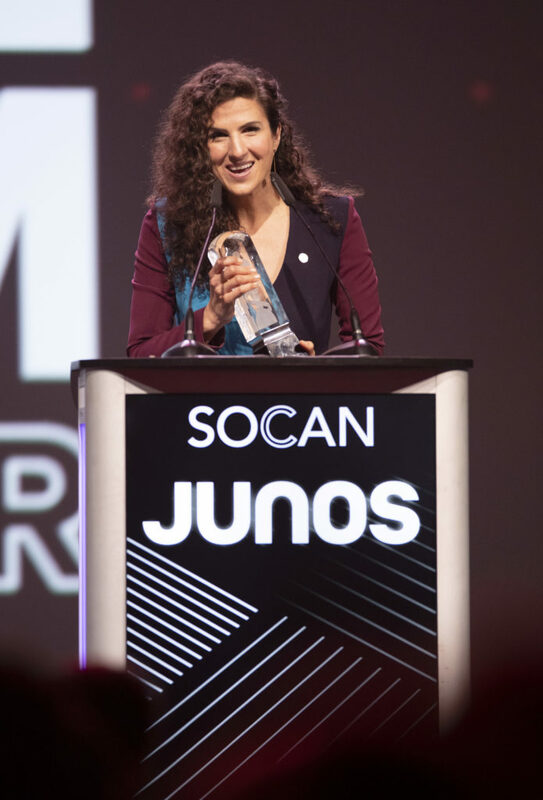 Laila Biali | JUNO Win, Joni75, Jazz Lives, Voices that Care & JAM! JUNO Win, Joni75, Jazz Lives, Voices that Care & JAM! I can’t remember the last time I was more surprised than when, last month at the JUNO Awards, they announced that I was the 2019 Winner for “Vocal Jazz Album of the Year”!!! You could have knocked me over with a feather. There are SO many people to thank, people who not only supported the album that won, but who have walked alongside me in countless ways over the years. 💖 I was so shocked by the win, there were many key organizations and people I didn’t thank in my speech. (The “play off” music kicked in so early too, which didn’t help!) But, if you’re interested in watching it, you can find it on YouTube here. As part of my Joni75 series, here’s cover #4 – Woodstock. This was the first Joni Mitchell song I ever arranged, back in 2007 for my album From Sea to Sky. The arrangement has morphed and changed over the years since, and this is how it sounded at The Jazz Room in Waterloo on March 23, 2019. It features my long-time trio with George Koller and bass and Larnell Lewis on drums! Watch the video on Facebook here, or watch it on YouTube here. If you enjoy it, please comment, like and share!! Jazz Lives at Koerner Hall! Come support Jazz FM’s annual fundraising event, Jazz Lives, at Koerner Hall next Wednesday, April 10! This year’s concert features Kellylee Evans, Barbra Lica, David Clayton Thomas, June Garber, Yours Truly, and more! Get your tickets here. Join us at the Glenn Gould Studio on Thursday, April 25 for a special Musical Evening featuring Jann Arden, Murray McLauchlan, Denise Donlon, Kenneth Welsh, Gavin Crawford, Venuti String Quartet and Yours Truly to benefit Room 217 Foundation. For more information and to get tickets, click here. April is Jazz Appreciation Month! Every day, I will post a mini tribute on Facebook and Twitter to a historical or living legend. Join me on Twitter here. Join me on Instagram here.